Last week Facebook started rolling out their new Timeline feature, with it first appearing in New Zealand. But today Facebook have now confirmed that their new Timeline feature is available to users worldwide. The new Timeline has been designed to provide users of Facebook with an easier way to rediscover the things you shared with friends, and collate your most important moments. Facebook has enabled a graced period of 7 days for the new Timeline once you have upgraded. 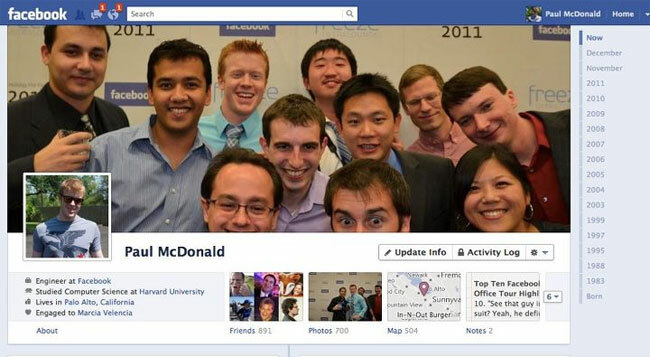 Which allows you to check your account and new Timeline before it is revealed to any of your Facebook friends. If you want to see how your timeline appears to other people, click the gear menu at the top of your timeline, and select “View As.” You can then choose to see how your timeline appears to a specific friend or the public. Timeline allows you to then remove and add stories you might like to feature. For more information on how to use the new features within Facebook’s Timeline, jump over to the Facebook blog post announcing its arrival. There is also a video you can watch which explains everything in more detail.